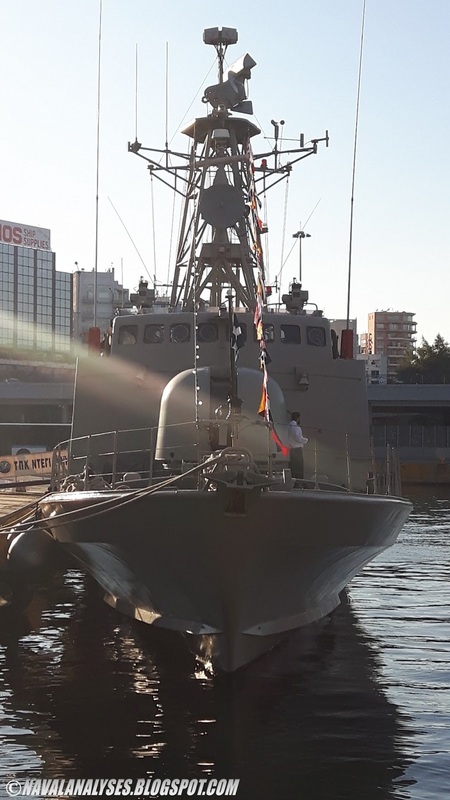 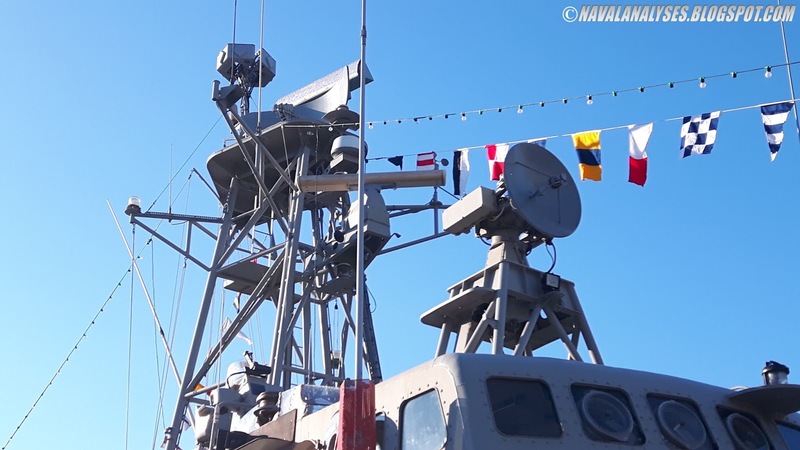 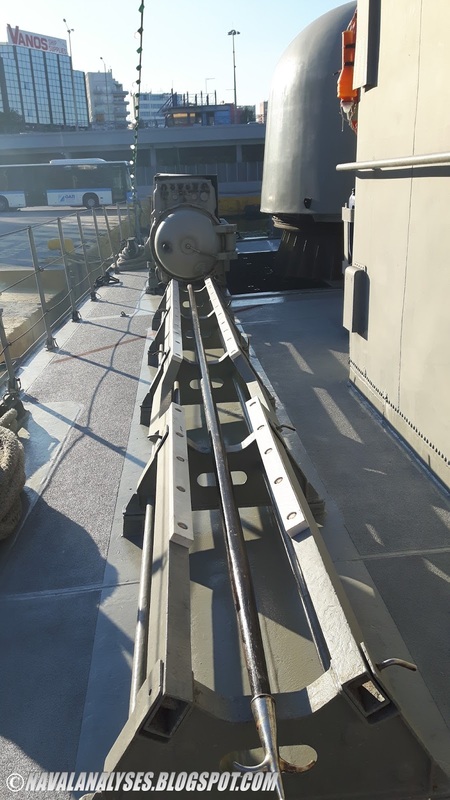 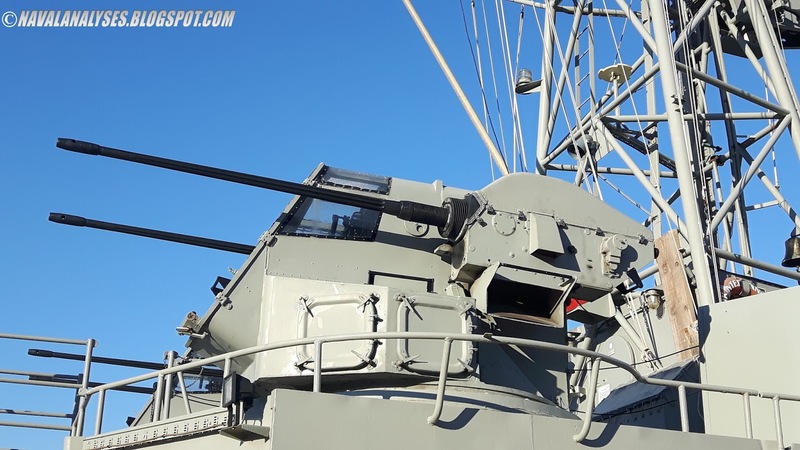 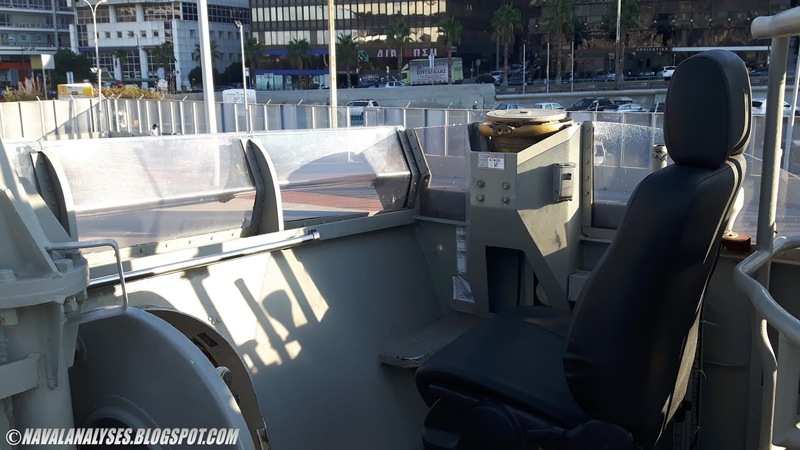 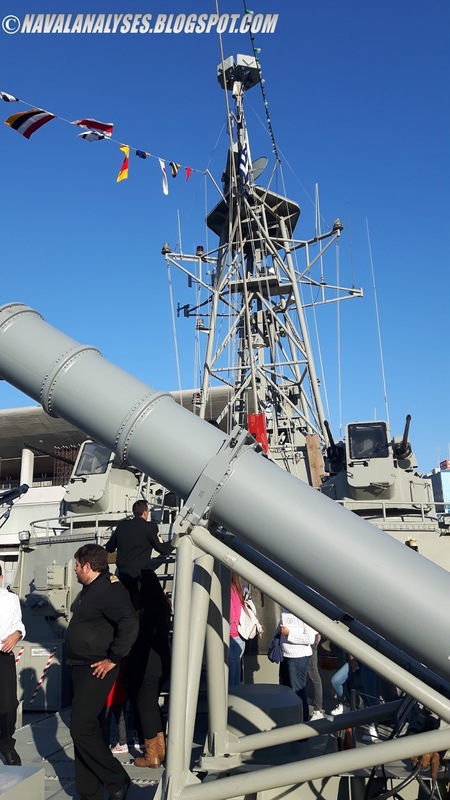 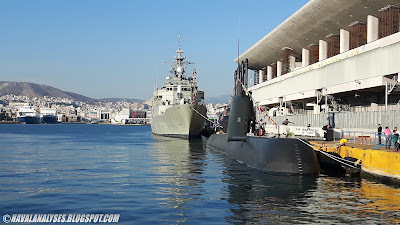 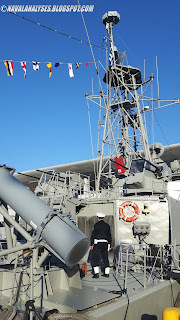 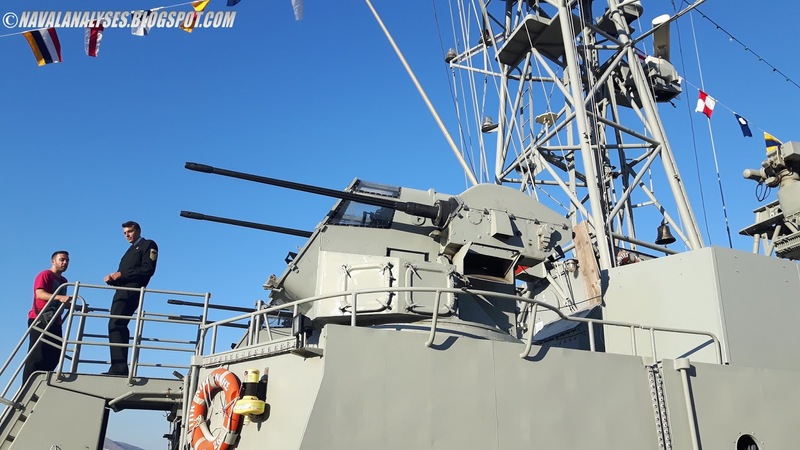 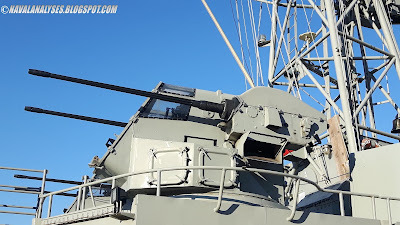 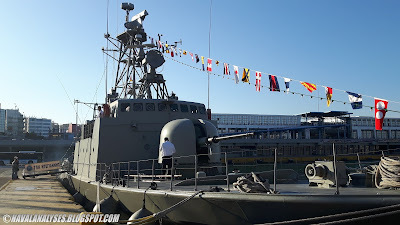 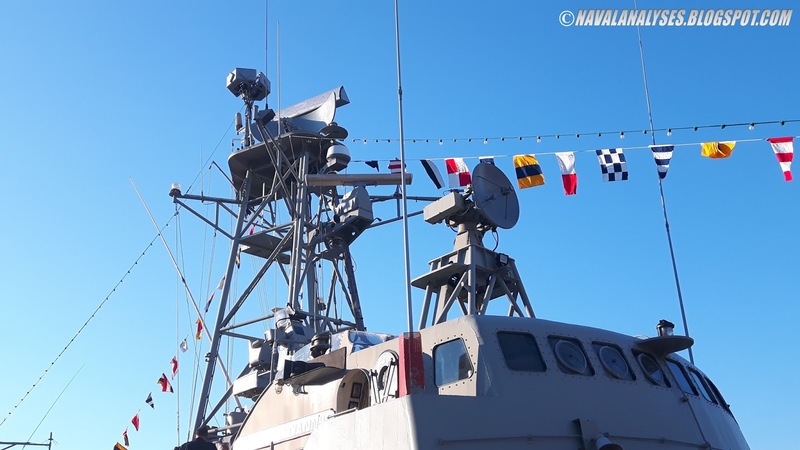 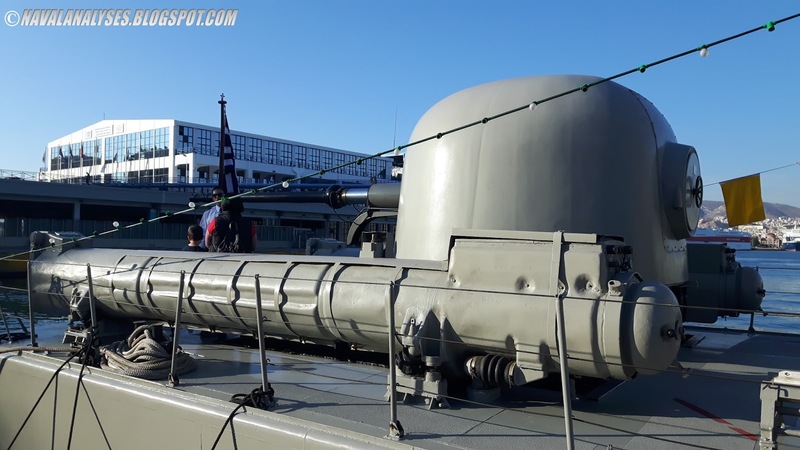 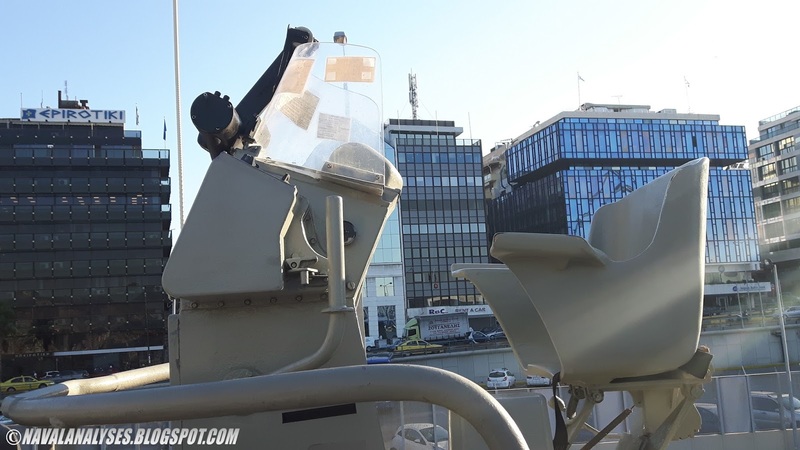 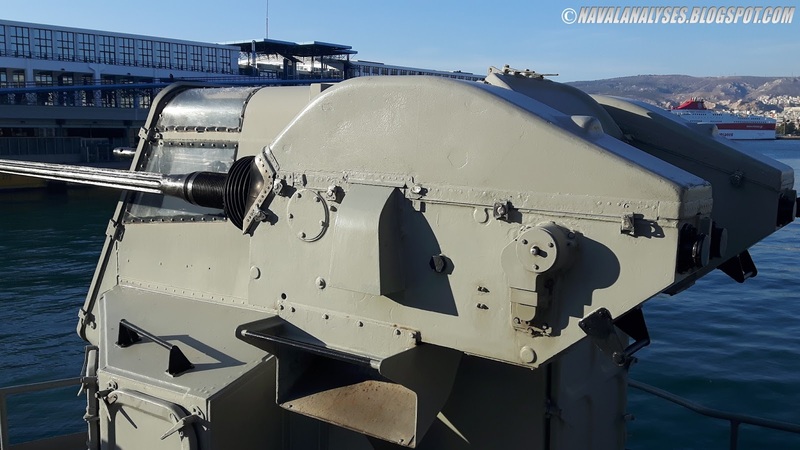 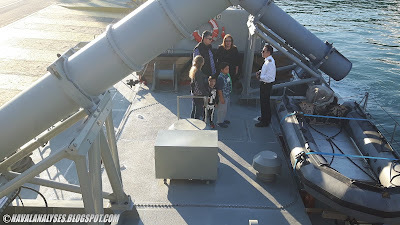 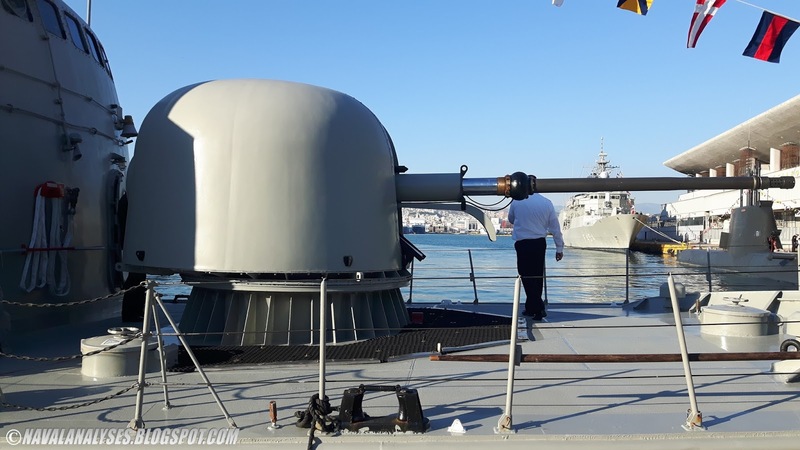 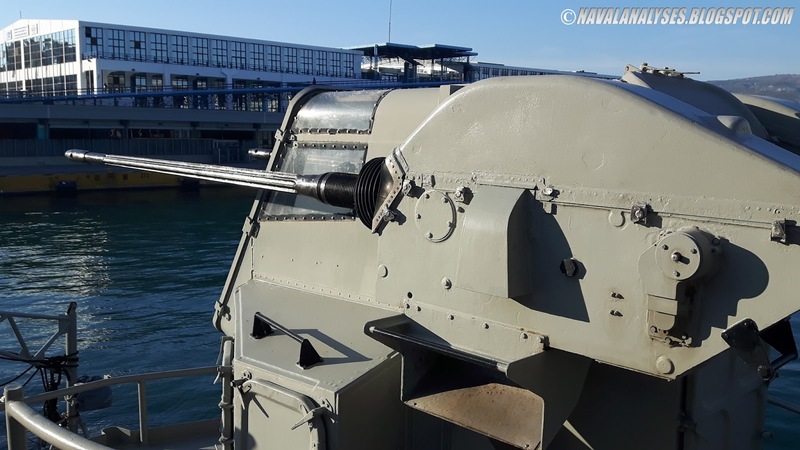 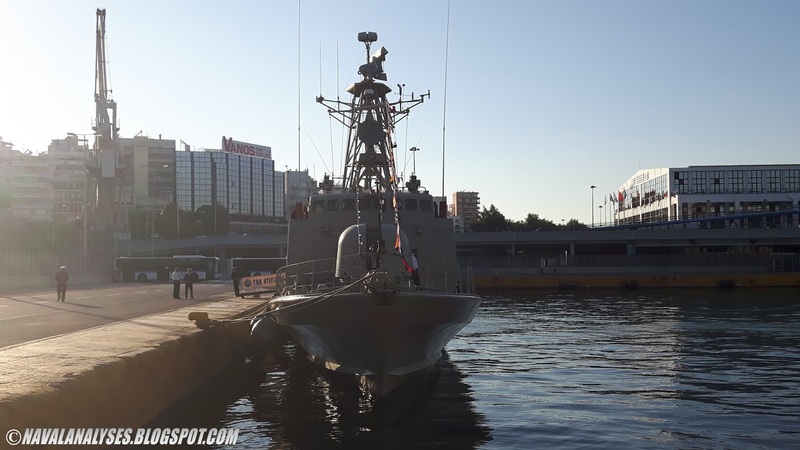 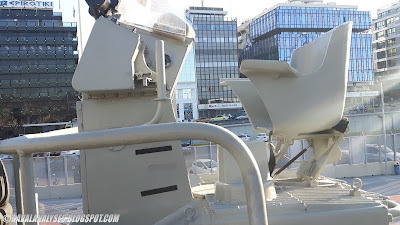 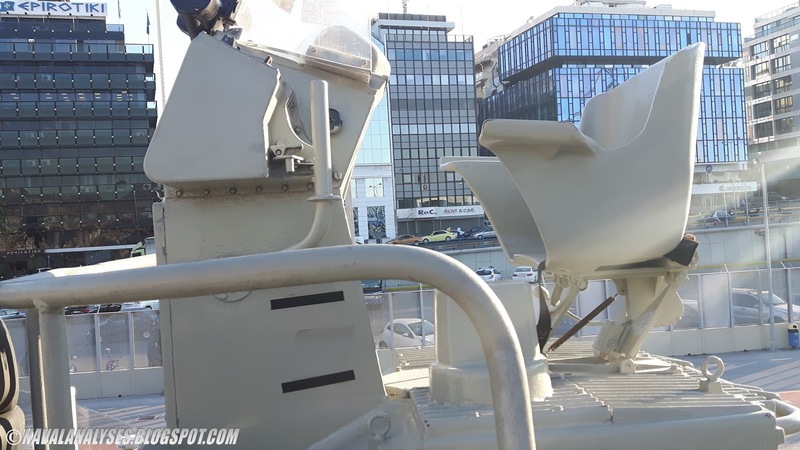 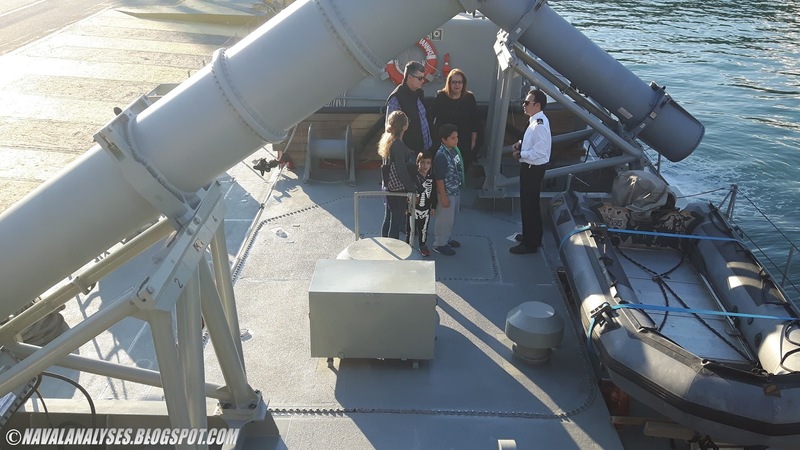 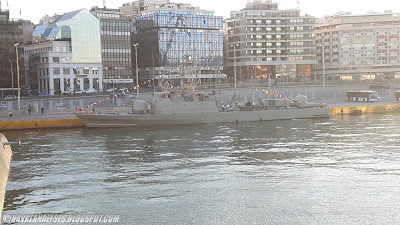 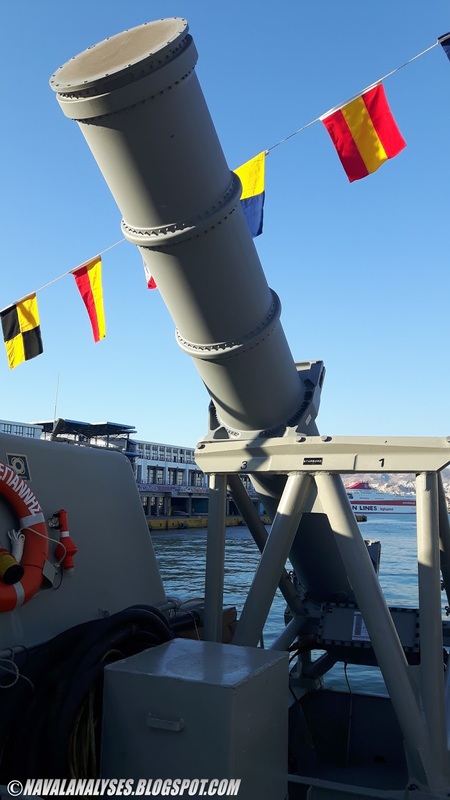 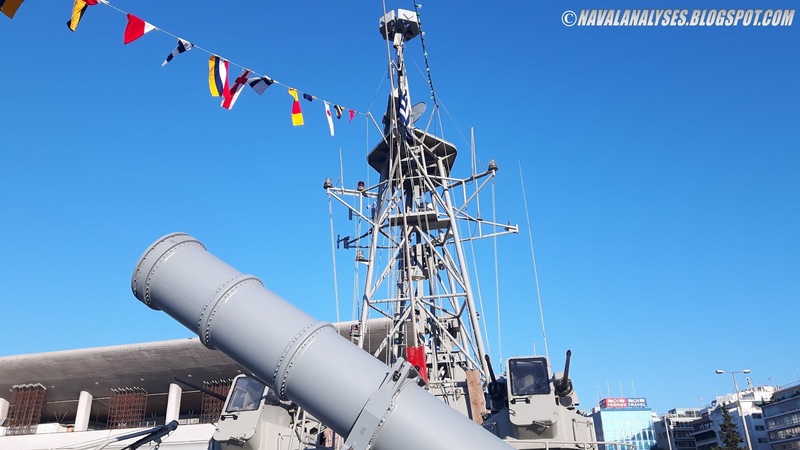 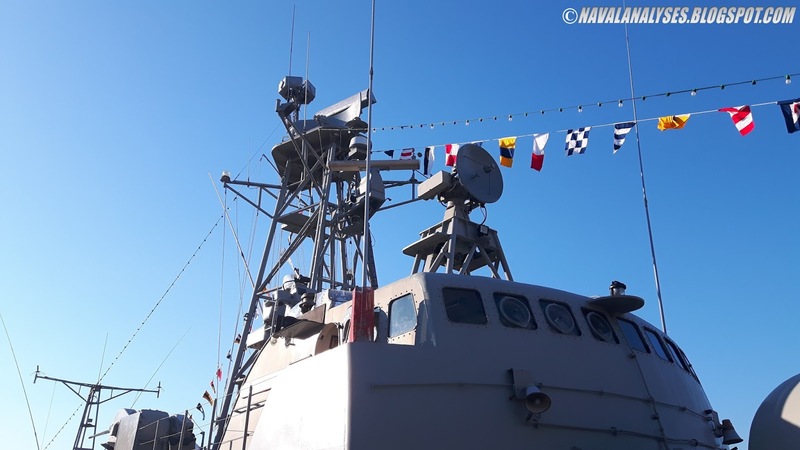 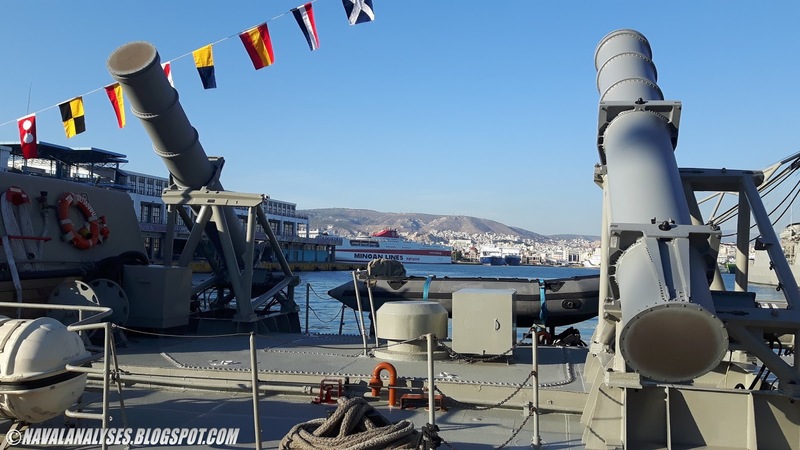 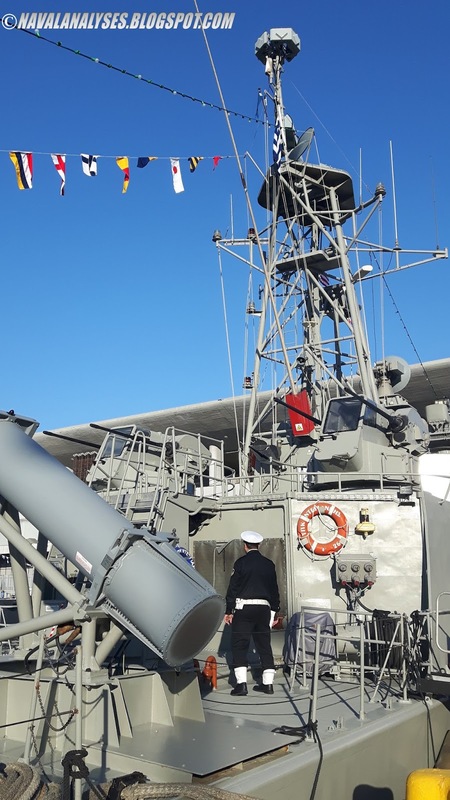 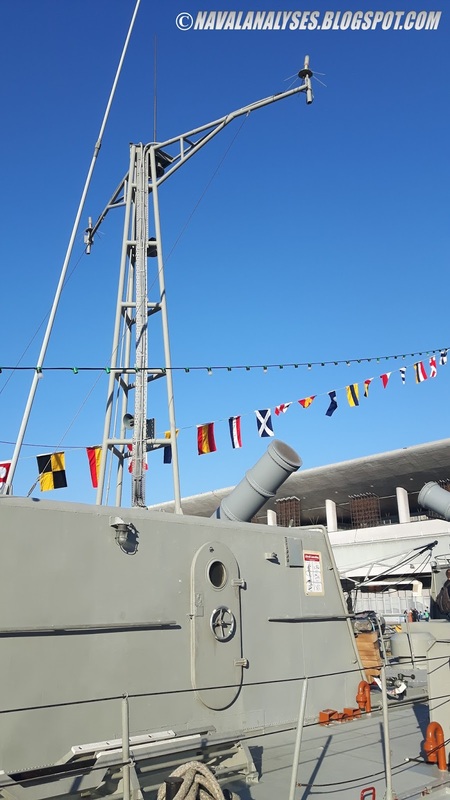 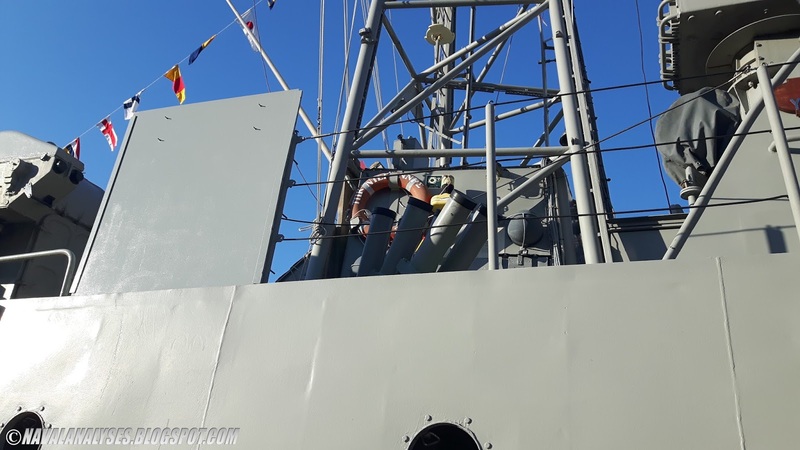 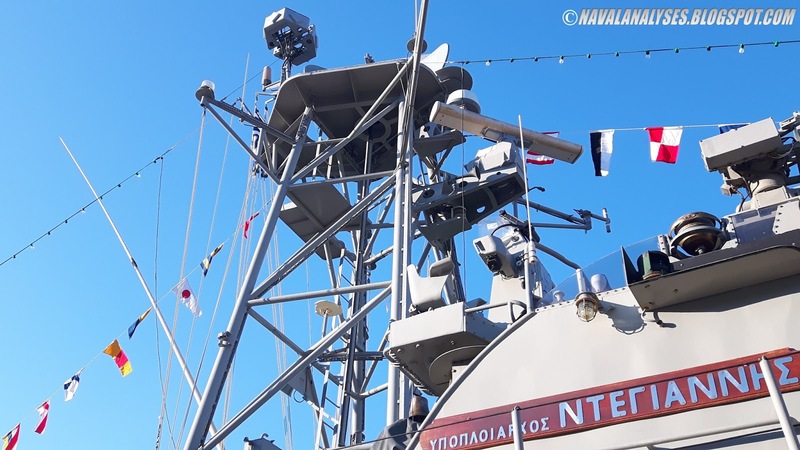 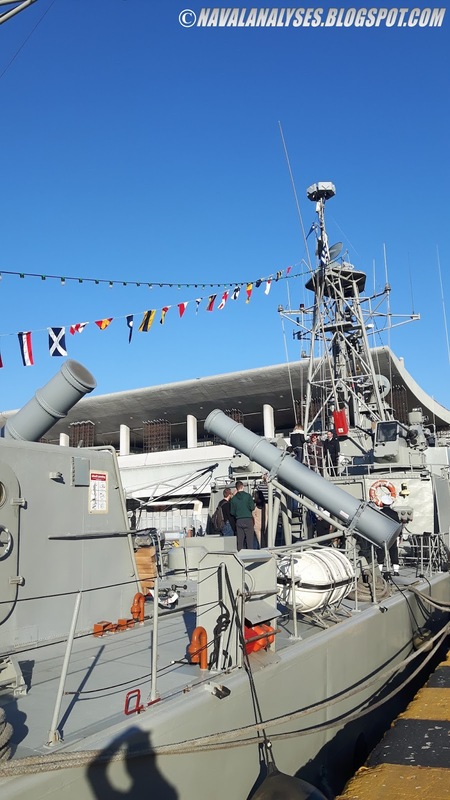 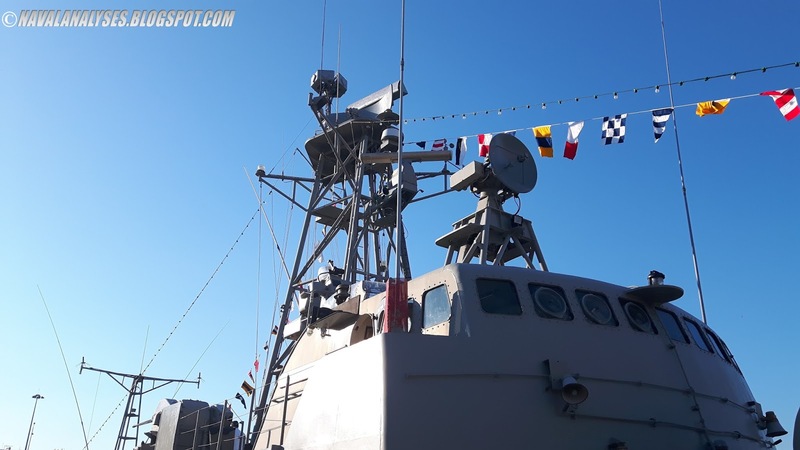 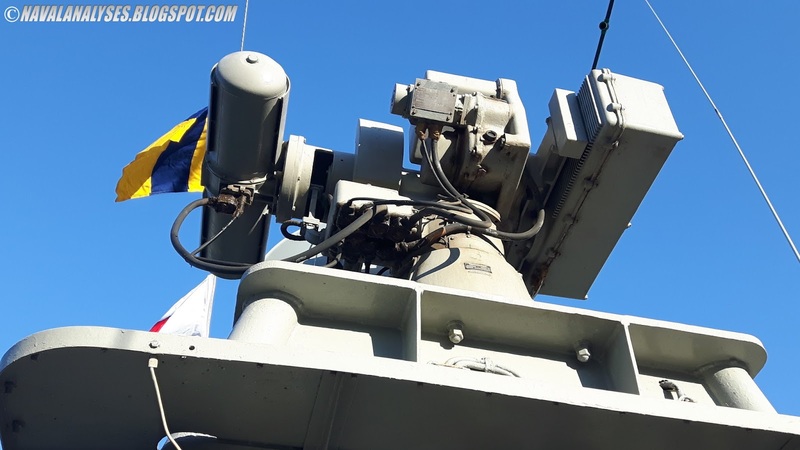 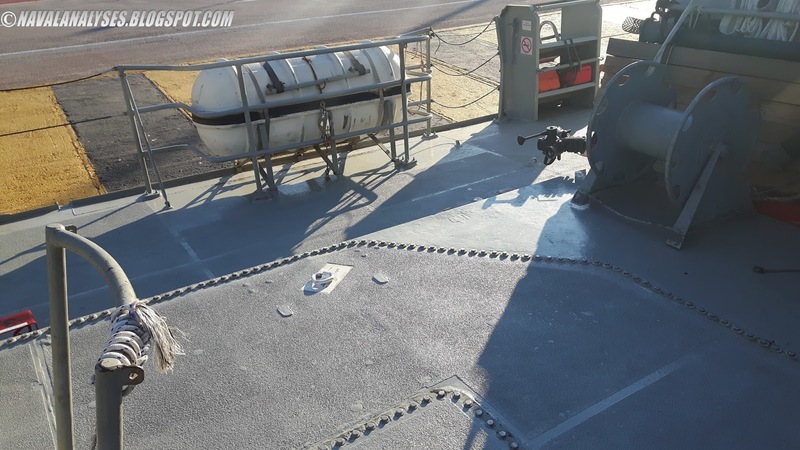 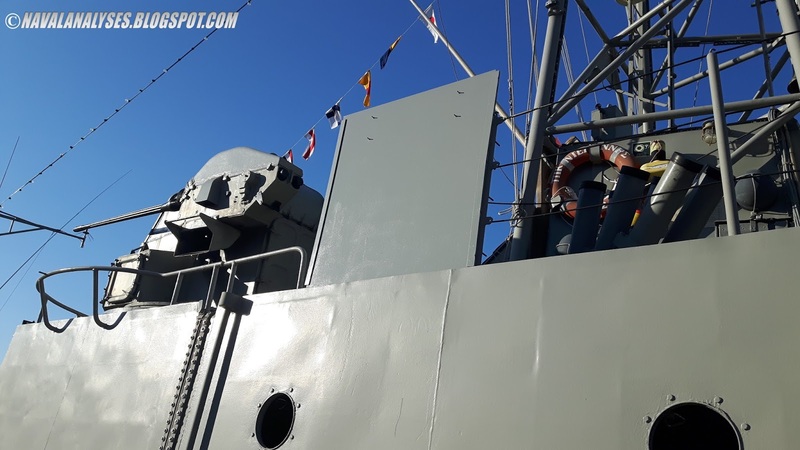 On Friday, October 27, I had the opportunity to visit the fast attack craft P-26 Degiannis, third vessel in the Kavaloudis class (Combattante IIIB) of the Hellenic Navy. 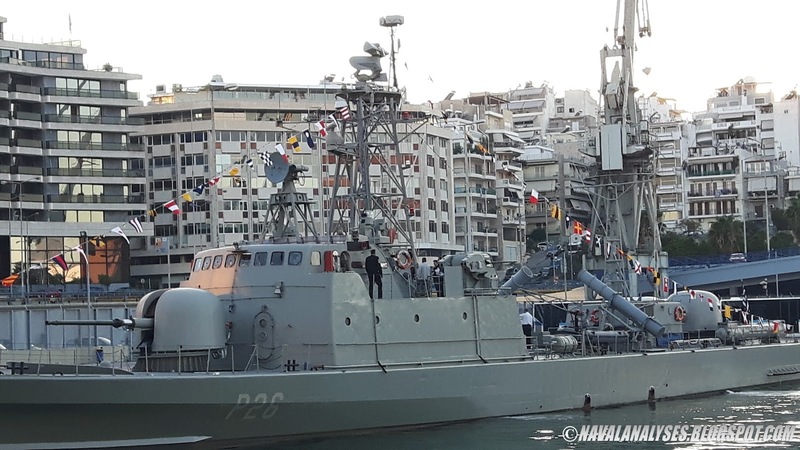 The six vessels in the class were built in Hellenic Shipyards and delivered to the Navy in the period 1980-1981. 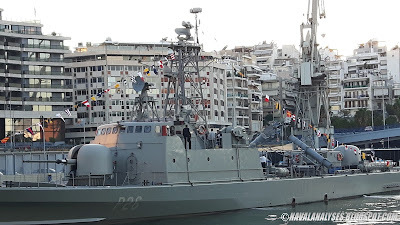 One of the vessels, P-25 Kostakos which was sunk in November 4th, 1996, when it was struck by Samaina a passenger ferry and four members of the crew lost their lives in that tragic accident. 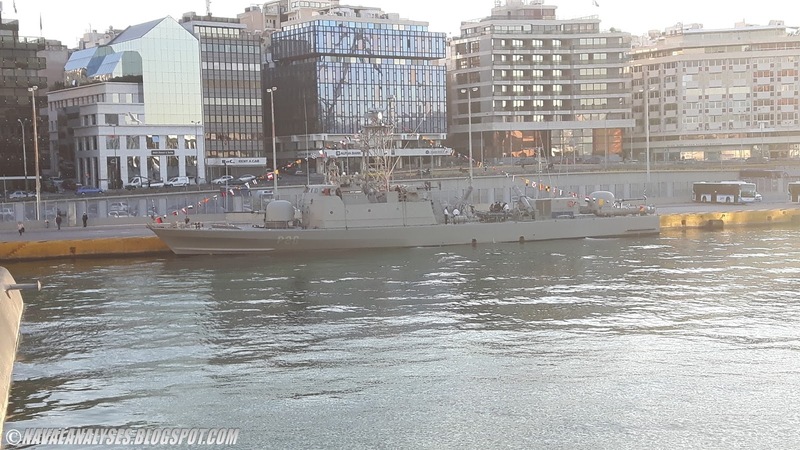 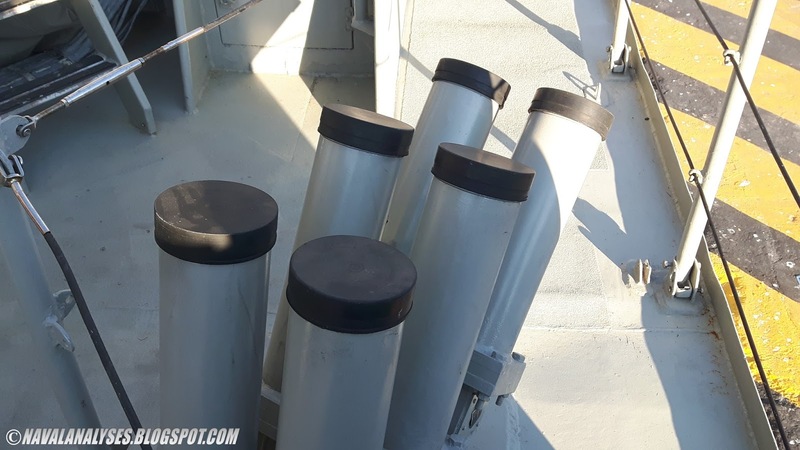 The Kavaloudis-class boats have not been modernized as their older sisters, the Laskos class (Combattante IIIA) (photo gallery of HS Blessas here). 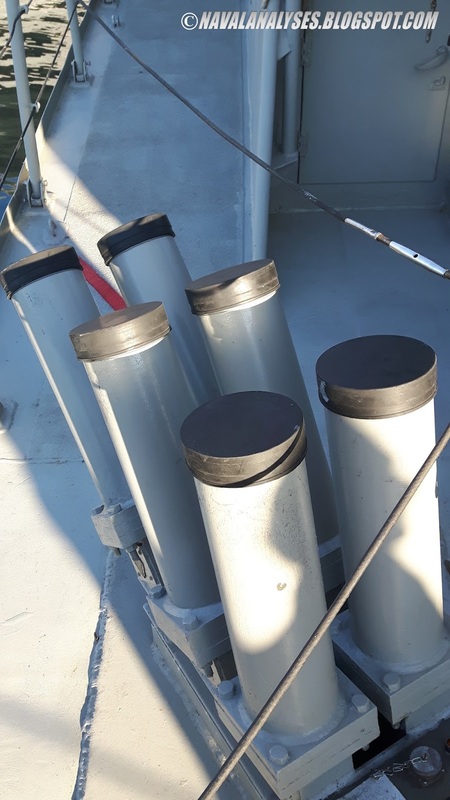 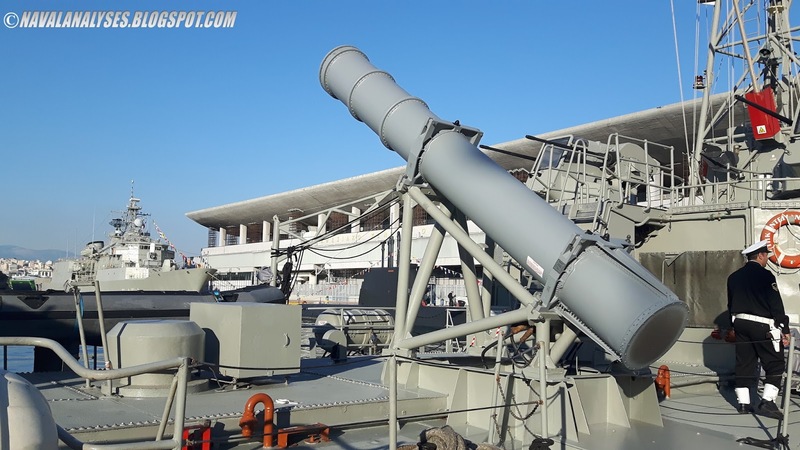 However, they have replaced their ageing missile systems, the 40km-range Penguin anti-ship missiles, with Harpoon that has three times the maximum range of a Penguin missile. 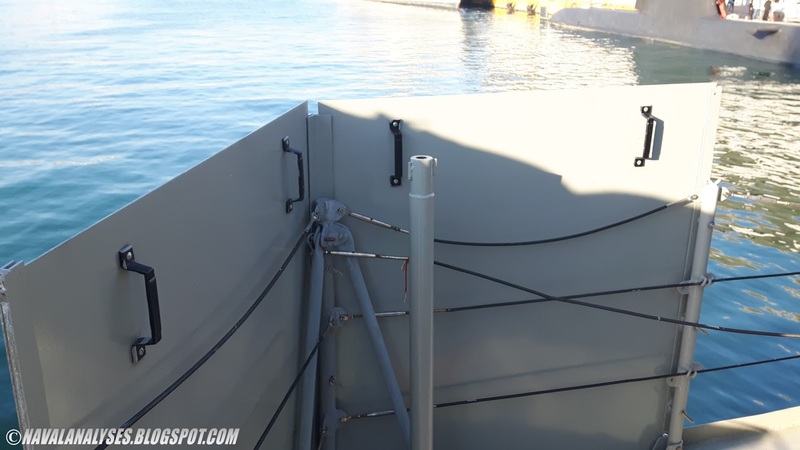 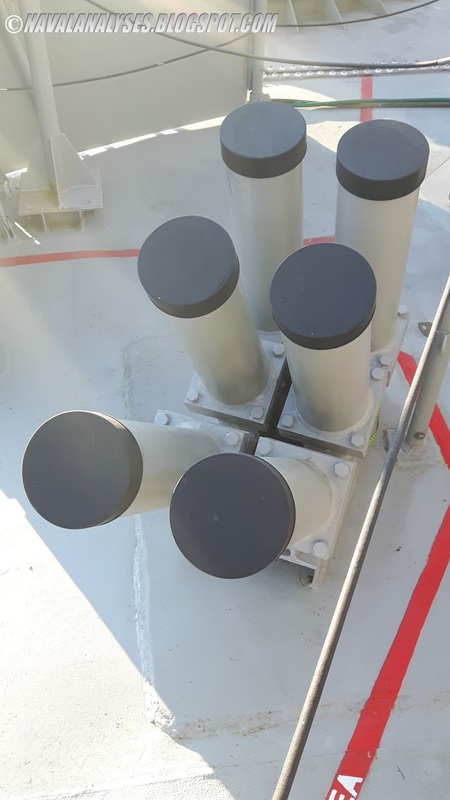 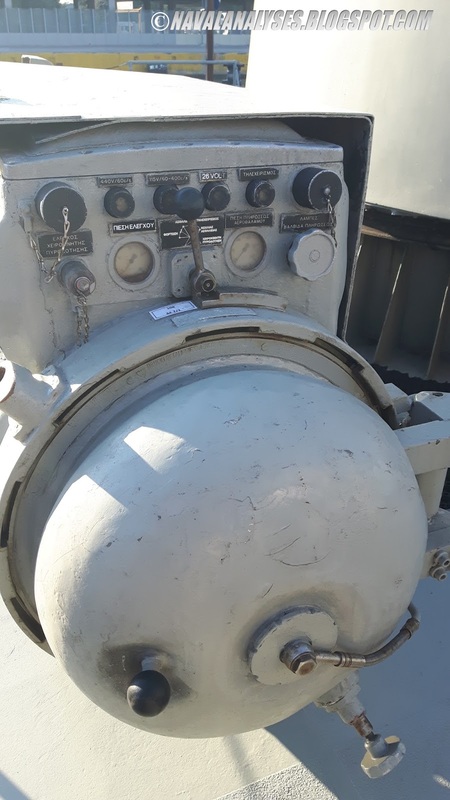 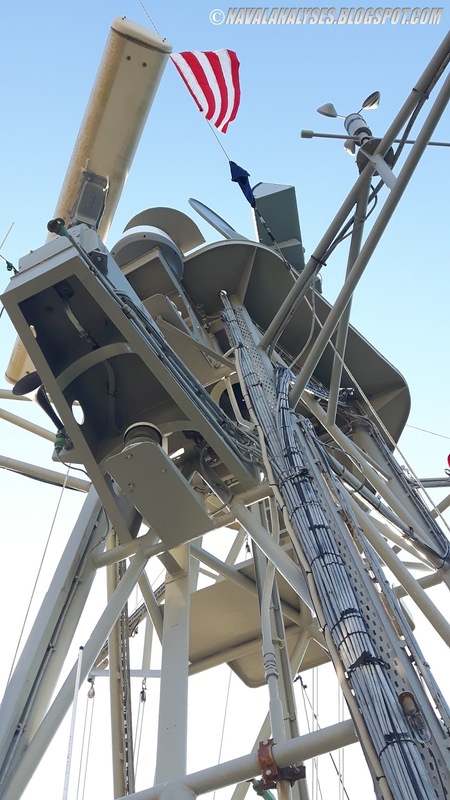 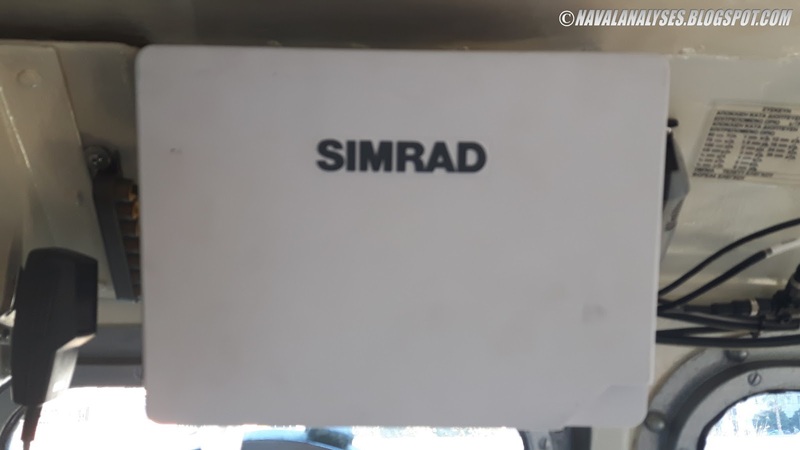 Another new addition to the equipment of the vessel is that of a SIMRAD navigation radar which supplements the old Decca radar. HS Degiannis, together with the Hydra class frigate HS Psara (photo gallery here) and Papanikolis class submarine HS Matrozos were opened to the public at Piraeus harbor due to the forthcoming celebration of Ohi Day (anniversary of the "No") to commemorate the rejection by Greek Prime Minister Metaxas of the ultimatum made by Italian dictator Mussolini on October 28, 1940 during WWII. I hope you will enjoy the photos!